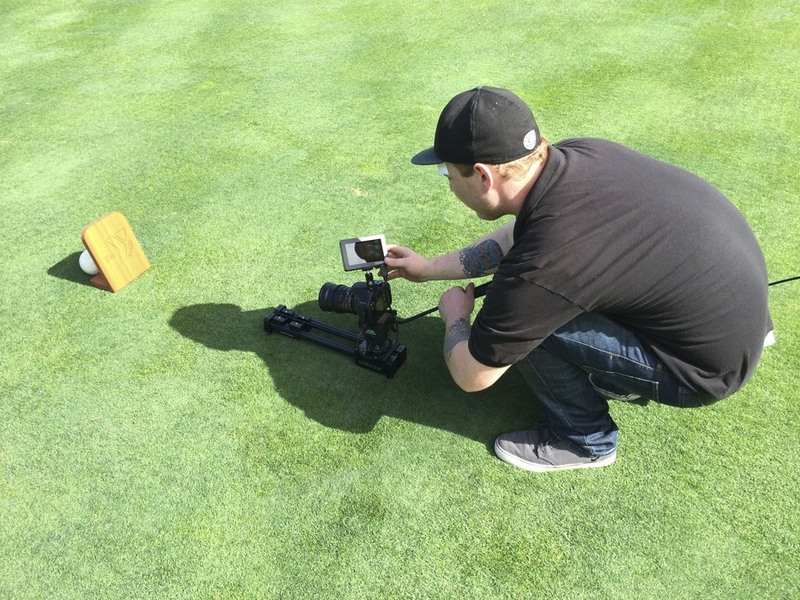 The YMCA of San Francisco recently asked us to produce a video that highlights their annual "Kids to Camp Golf Classic" fundraiser, held at The Peninsula Country Club in San Mateo, CA. Neil grabbing some low slider shots. The tournament raises money to help at-risk kids have the opportunity to go to camp and stay out of trouble. We were thrilled to be working with such a great organization, and to create something to support such a good cause! The shooting situation was pretty dynamic. Early in the day, we were running around the golf course, getting shots of the players as we could. During the dinner and auction we had a couple cameras locked off to make sure we didn't miss any action on the stage. That left us to walk around getting interviews of key people, as well as and other angles for more b-roll. Thanks to Liz Boskovich and Amy Richmond from the YMCA of San Francisco for being such a pleasure to work with! The video was filmed in one day and edited over the following weeks. Enjoy the final product. Newer PostDoing some white backdrop work! © 2019 Copyright Elevate Visuals, LLC. All rights reserved.